The rich Romania gold resources known to still exist within the country are certainly attractive to many mining companies who would like to access them. Still, the Rosia Montana project was recently rejected after waiting 15 years for approval, and this certainly weighs heavily in the minds of other companies who may setting up a mining operation in Romania. Romania is home to the largest gold deposit in continental Europe. In fact, it is not just gold that attracts miners to this country. Romania is one of the poorer countries in Europe, but from a view of the resources available for mining it is actually one of the richest. There are a large variety of minerals that are commercially mined here. The potential for gold mining in Romania remains strong, but there have been concerns concerning environmental issues at the largest gold mine in the country. With the massive amount of gold reserves believed to still be found around the country, there is still much interest despite these issues.The history of gold mining in Romania has been highlighted by Rosia Montana, a village located in the Transylvania region of the country. It is believed that gold was mined in this region as early as the Stone Age. Direct references to gold mining around here date back to the second century AD, and it is believed to be one of the oldest mining sites in the world. Mining activities continued as German migrants moved into the region in the sixteenth century. The Austrian Empire also encouraged mining around the country in the eighteenth century. The deposits are well mapped and have been worked hard for centuries. Romania has since evolved into a place with more than enough gold deposits and has been targeted over the years as a viable way for Romania to become self-reliant with its mineral resources. Rosia Montana is still the top place to find gold in the country. The deposit is believed to have close to 300 tons of gold alongside more than a thousand tons of silver. This makes it the largest known gold deposit located within continental Europe. There are more than five hundred former mining sites documented throughout the country as well. These are places where mines of various sizes were worked prior to shutting their operations down due to either a lack of gold or financial problems within their companies. Gold mining is highly dependent on high metals prices, and when cost of operation exceeds the output of gold, the mines are abandoned. However, many in Romania and throughout Europe have concerns over the impact of mining on the region and have even considered submitting the Rosia Montana village for consideration as a UNESCO World Heritage site. This could make it extremely difficult for companies to develop the region for further mining purposes. Recently the Romanian parliament rejected the proposal of the Canadian-based company to expand this mining operation at Rosia Montana. This was a highly divisive issue for residents of Romania, where a balance between economic benefits to the region must be balanced with the impact of such a large-scale mining operation. The use of the cyanide leaching process is the primary concern that many have, while the general impact of such a large mine is of concern to others. There have been some long term effects over heavy metals being released into the waters around the region that have caused issues in the past. Archaelogical issues are another problem with the expansion of mining in the Rosia Montana area. Gold prospecting has occurred in this region for centuries, and many of the old mines have historical significance. 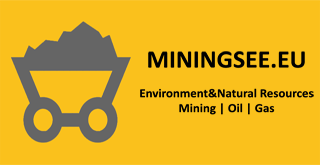 Historical mining methods commonly used mercury amalgamation to capture gold particles, and this has caused environmental issues in some of the waterways of the region. This is certainly not unique to Romania, and mercury is no longer used or recommended in most mining operations, yet its lasting effects still remain an issue. The potential for gold mining in Romania is strong and the history of mining in the country is extensive. Still, the future of gold mining out here remains uncertain.